Blog / Investment & Finance / What is a "Malta Golden Visa"? What is a "Malta Golden Visa"? A "Golden Visa" is the name of a popular EU investor visa offered by a few Southern European countries, such as Spain and Portugal, to foreign nationals who invest in their country's property market. 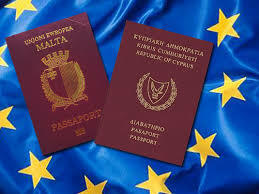 Many people refer to the new Malta Residence and Visa Program (MRVP) as a European Golden Visa. If you are interested in an EU Residence Permit as opposed to European citizenship, a Maltese investor visa may be right for you. Malta residency by investment can make doing business in Europe easy by eliminating the need for a Schengen Visa in order to travel within the European Union. Read more about the citizenship by investment scheme in this article.